A Revista do Museu de Arqueologia e Etnologia está recebendo submissões de artigos e resenhas para os dois números referentes ao ano de 2019. Para submeter um artigo ou resenha faça seu registro no site e siga os procedimentos indicados pelo sistema. This dossier is a collection of articles, mostly from conferences presented at the symposium entitled "Life and Death in Ancient Games: Between Competition, Power and Religion," held in August 2016 and organized by the Museu de Arqueologia e Etnologia of the Universidade de São Paulo (MAE-USP), by Professor Vagner Carvalheiro Porto and Dr. Camila Diogo de Souza, in partnership with the Universidade Federal de São Paulo (UNIFESP), represented by Professor Gilberto da Silva Francisco and with funding from the Fundação de Amparo à Pesquisa do Estado de São Paulo (FAPESP). Sport in Roman times. From cliché to historic and archaeological reality. 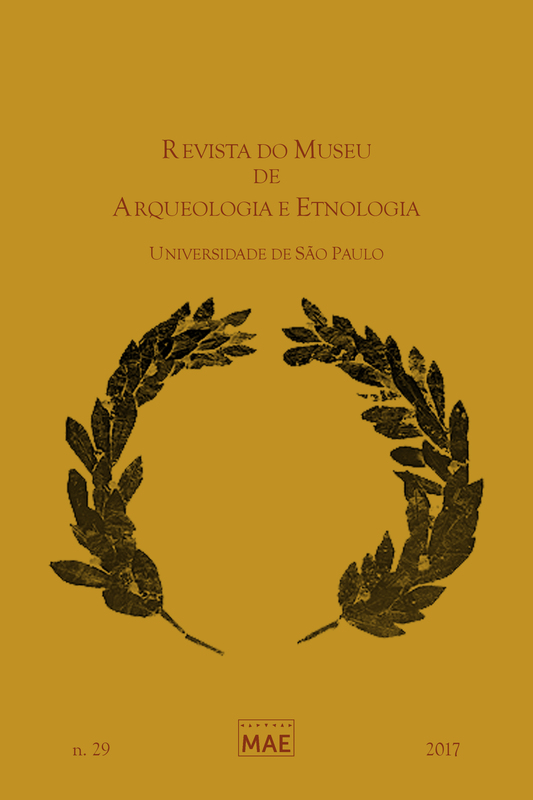 The Journal of the Museum of Archaeology and Ethnology has been published since 1991, replacing the previous Dédalo Review and the Journal of Prehistory. Its goal is to promote the dissemination of scientific research of excellence in the areas of Archaeology, Ethnology and Museology. The publication is semiannual, following the review system by peers and holds a public access policy with open full content, with streaming in receiving articles. It publishes original texts in Portuguese, Spanish, English, French and Italian in the following ways: articles that present the results of original scientific research, the development of methodology, or bibliographical or theoretical extensive reviews on the topics covered by the journal, unpublished book, theses, dissertations and other productions reviews that have academic relevance, notes to preliminary and partial results of original or in development research, interviews with renowned professionals in the areas of Archeology, Ethnology and Museology. In order to ensure speed to the display of content, approved articles and notes will be published in ahead of print until the number is complete.